Evolution Gaming software allows players access from their own homes roulette, baccarat and blackjack tables hosted by real live dealers. This software films the tables via advanced technology and retransmits the images in real time to the online players’ computer screens. Also, apart from this perfectly mastered streaming technology, with Evolution Gaming software players can bet at traditional games tables, which means that players can place chips on a roulette table or ask for cards in blackjack and place bets in baccarat. These different functions are possible thanks to Evolution Gaming which has understood the importance for players to bet just like in an actual casino. It’s possible to play at Evolution Gaming tables from studios or from a real land based casino in Malta (Dragonara Casino). 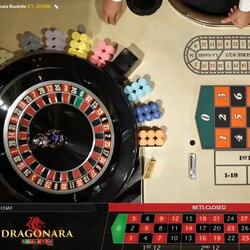 This Maltese casino’s Dragonara Roulette table is accessible in several live casinos equipped with Evolution Gaming technology. More and more live casinos have fallen under the spell of Evolution Gaming software and this can be explained by the fact that Evolution Gaming has become the best live gaming software available. 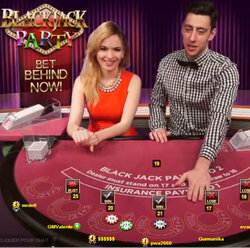 Tables like Immersive Roulette, Baccarat Squeeze, Dragonara Roulette and Blackjack Party are the best tables in the gaming industry and have contributed to this software’s reputation. Playing in a casino equipped by Evolution Gaming gives one the feeling of being physically present in an actual casino. The transmission is rapid, fluid and without bugs, the images are excellent and it must be said that the welcome in a gaming studio is friendly. All in all, it’s good to be able to play from the comfort of one’s own home at any hour of the day or night with real dealers in an extraordinary setting. 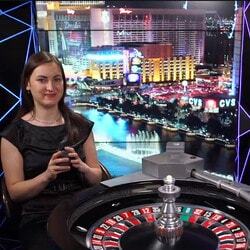 Below you’ll find a list of live casinos equipped with Evolution Gaming technology. These are the best live casinos with live dealers running on not just one live software programme but on several to fulfil players’ needs. Exclusivebet Casino : This live casino is one of the best online casinos offering Evolution Gaming games for several years. 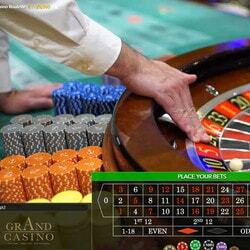 Its 1000 games, professional customer service and rapid winnings’ pay outs are the strong points of this live casino. It also runs other software such as Ezugi, Vivo Gaming and Xpro Gaming. Dublinbet Casino: This casino runs on no less than six types of software : Actual Gaming, Visionary Igaming, Betgames, Microgaming, Ezugi and of course Evolution Gaming. Lucky31 Casino : This live casino has the same games as Dublinbet Casino and offers more than 800 top of the range games. Codeta Casino : This online casino is equipped with Evolution Gaming and Netent tables and is a leading casino for fans of table games.